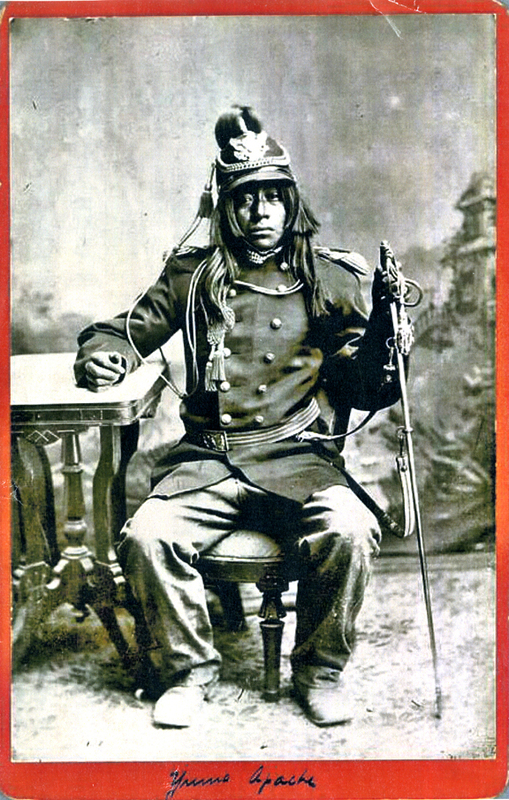 Francisco, the Quechan tribesman who "rescued" Olive Oatman by threatening the Mojaves and predicting annihilation if they didn't release her, became quite full of himself and went around preaching and talking down to the various river tribes. He boasted of his prowess at war and preached revenge and finally talked the Yumans and the Mojaves into going to war against the Maricopa and Pima tribes. Francisco's combined war party attacked at Maricopa Wells and in an all day In-din fight the Pimas and Maricopas prevailed and killed over 200 of the best warriors on the Colorado River. In grief, on the return march, the story goes that Francisco's own men killed him because they thought that he had brought disaster upon them by befriending the whites and getting so many of their best men killed in the folly of war. There are no known photographs of Francisco, but this image, above, perfectly captures his visage, in my opinion. "He who lives far from neighbors may safely praise himself."